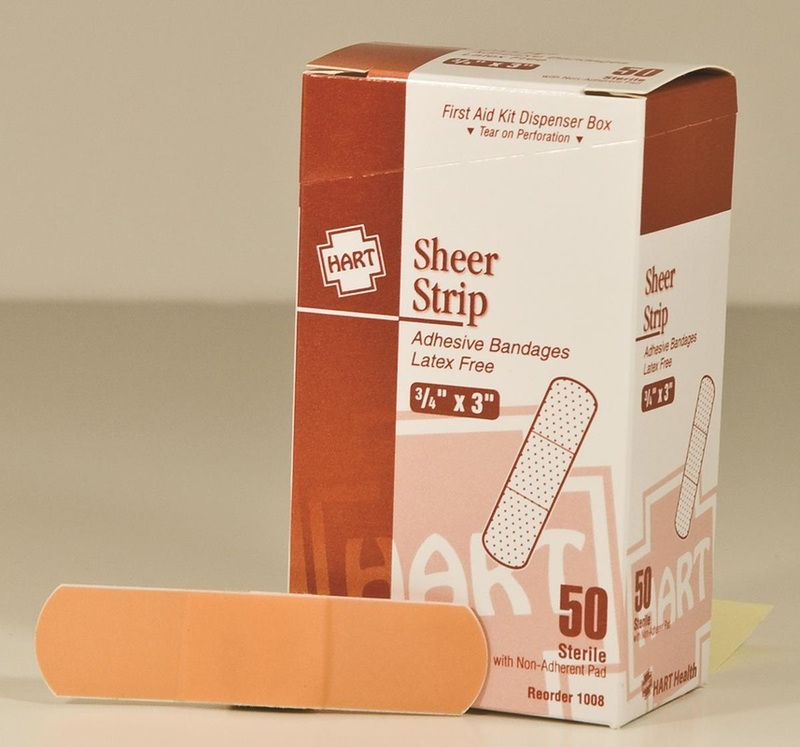 All Hart adhesive bandages are packed in dispenser boxes designed to give quick, convenient access whether used in a kit or first aid station. 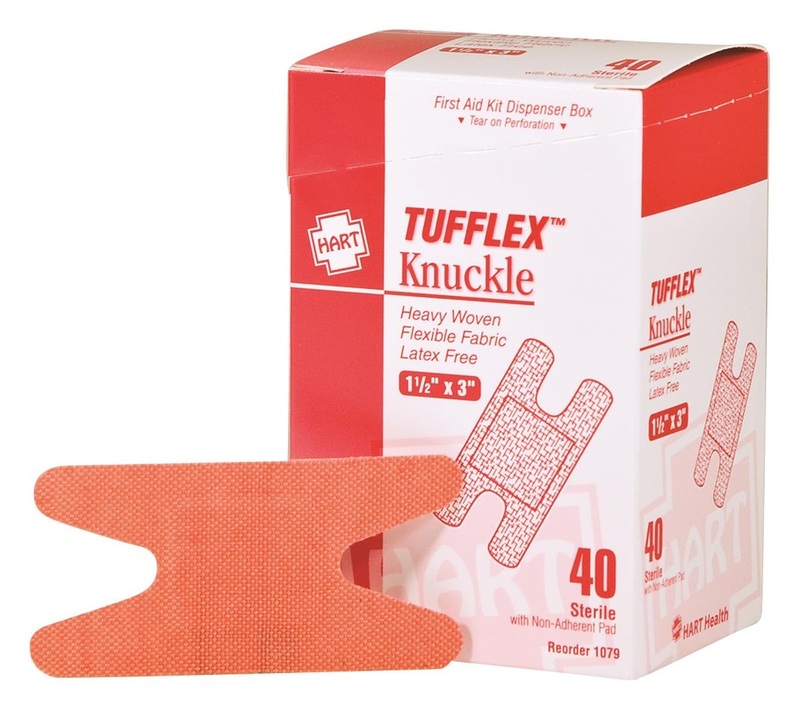 These adhesive bandages are sterile and have non-stick pads that protect the wound and promote fast healing. 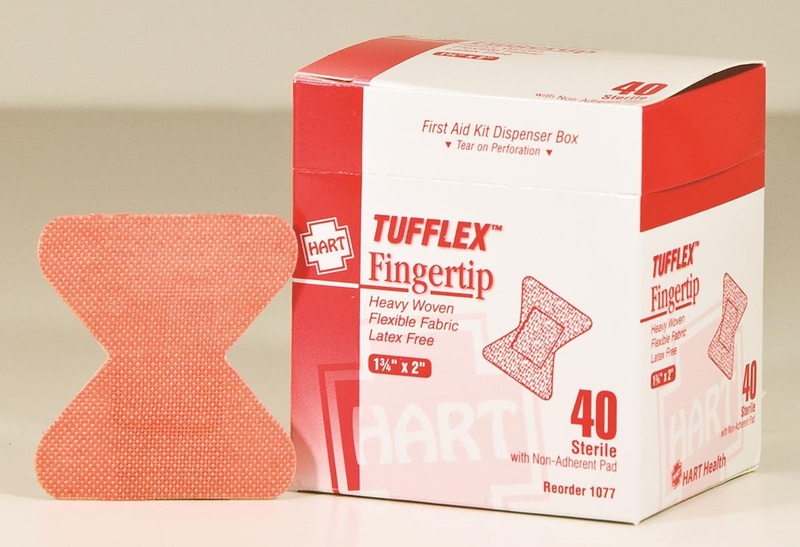 HART's heavy woven elastic cloth adhesive bandage is designed for superior comfort and flexibility. 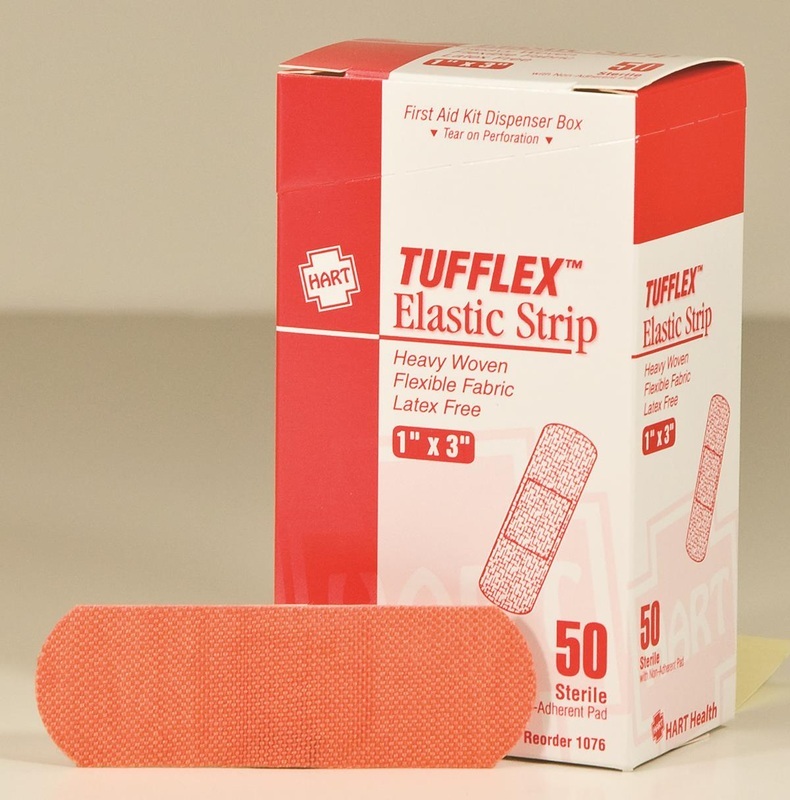 All HART elastic cloth bandages have strong adhesion to stay on even with perspiration, while resisting water, oil or grease, and dirt. 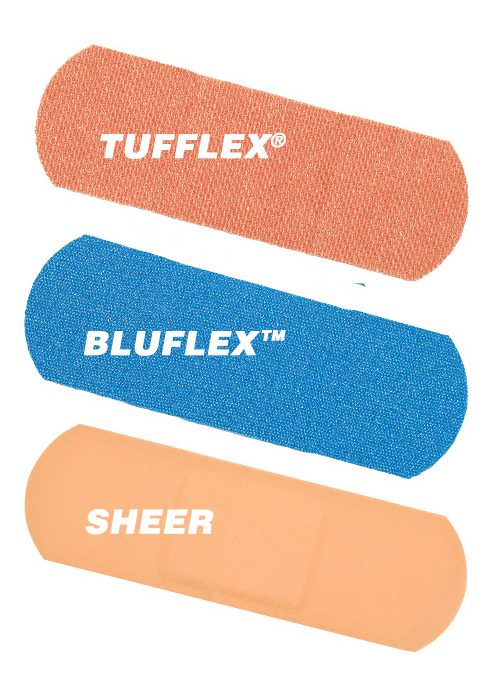 Elastic cloth finger wrap bandage Hart BluTec, 3/4" X 4-3/4", extra long, blue, metal detectable. 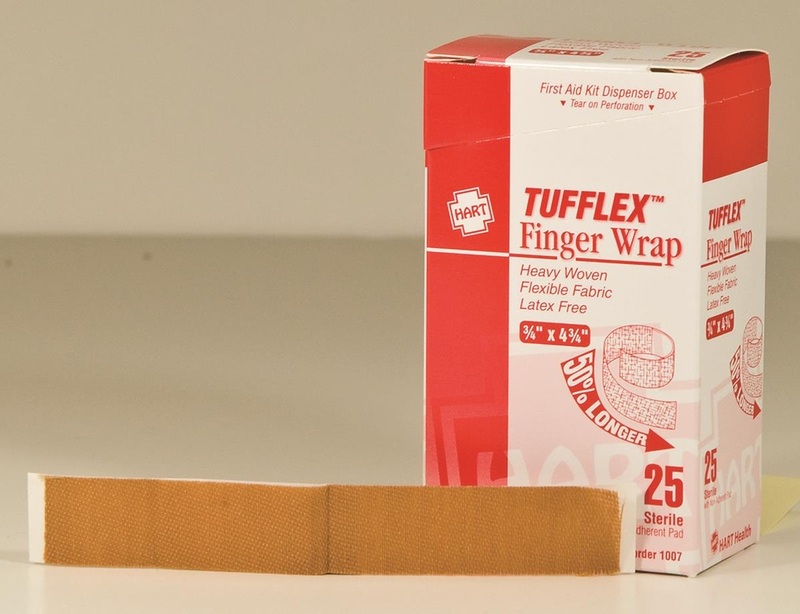 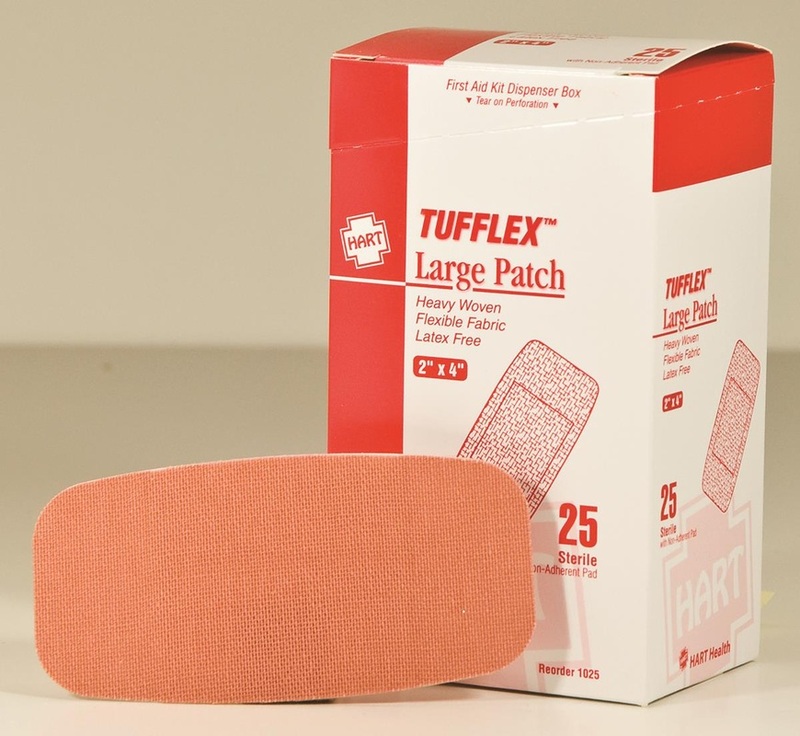 Patch Bandaid 2" x 4"
Elastic Cloth Fingertip bandage, Hart Tuff™, heavy woven, 40 per box.